On this day in 2002, I first began working for SmartData, my primary employer for the last nine years. A few months earlier, Reb – my girlfriend whom I’d moved in with in 2001 – and I had broken up, and I’d recently found the opportunity to visit Aberystwyth and visit friends there (the trip during which I first met Claire, although we didn’t get together until a little later). On that same trip to Aber, I also met Simon, who at that point had recently accepted a voluntary redundancy from the Rural Studies department of the University and was getting started with the launch of his software company, SmartData. He’d recently landed a contract with the National Dairy Farm Assured Scheme and needed an extra pair of hands on board to help out with it. Sorting out premises was coming along somewhat slower than he’d planned, though. As part of the SpinOut Wales scheme, SmartData had been offered cheap accommodation in a University-owned building, but they were dragging their feet with the paperwork. On our first day working together, Simon and I crammed into his tiny home office, shoulder-to-shoulder, to hack code together. The arrangement didn’t last long before we got sick of it, and we “moved in” to the room (that would eventually be legitimately ours) at Peithyll, a former farmhouse in the village of Capel Dewi, near Aberystwyth. 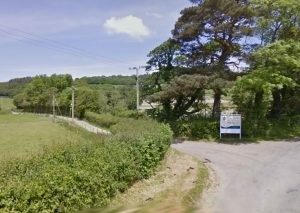 The entrance to Peithyll, where SmartData established itself for much of the first six years of its life. It was quite a cycle to get out there every day, but in the summer it made for a great office: not many people can sit at their desk and watch red kites hunting outside, or go for a lunchtime walk up a hill with a picnic. Over the last nine years since, as the company has grown, I’ve always felt like a core part of it, shaping it’s direction. As we transitioned from developing primarily desktop applications to primarily web-based applications, and as we switched from mostly proprietary technologies to mostly open-source technologies, I was pointing the way. By working with a wide variety of different clients, I’ve learned a great deal about a number of different sectors that I’d never dreamed I’d come into contact with: farm assurance schemes, legal processes, genetic testing, human resource allocation, cinema and theatre, and more. It’s been a wonderfully broad and interesting experience. When I began making plans to move to Oxford, I initially anticipated that I’d need to find work over here. But Simon stressed that my presence was important to SmartData, and offered to allow me to work remotely, from home, which is most of what I’ve been doing for the last year or so. Thanks to the miracles of modern technology, this has worked reasonably well: VoIP phones keep us in touch, tunneling and virtual networks allow us to work as if we were all in the same location, and webcams help us feel like we’re not quite so far from one another. But this wasn’t to be a permanent solution: just a way to allow me to keep contributing to SmartData for as long as possible. Last week, I was offered and accepted a new job with a new employer, here in Oxford. 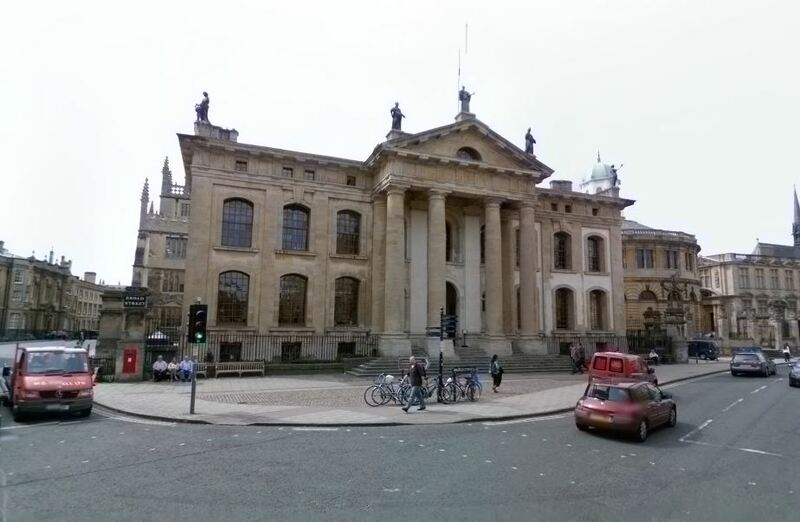 Starting in April, I’ll be managing the administration and the ongoing development of the website of the Bodleian Libraries, the deposit library associated with Oxford University. My new office, right in the heart of Oxford. It looks a lot less green, and a lot more prestigious, than Peithyll. It’s a huge change, going from working as part of a tiny team in a West Wales town to working with hundreds of people at one of the largest employers in Oxford. I’ve no doubt that it’ll take some getting used to: for a start, I’m going to have to get into the habit of getting dressed before I go to work – something I could get away with while working from home and that might even have been tolerated in the office at SmartData, as long as I threw on a towel or something (in fact, I have on more than one occasion taken a shower in the SmartData offices, then sat at my desk, wrapped in towels, until I’d dried off a little). This feels like a huge turning point in my life: a whole new chapter – or, perhaps the completion of the “turning a page” that moving to Oxford began. 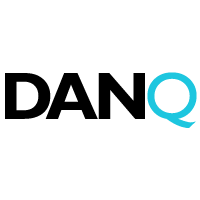 My new job is a brand new position, which provides an exciting opportunity to carve a Dan-shaped hole, and I’ll be working with some moderately-exciting technologies on some very exciting projects. I’m sure I’ll have more to say once I’m settled in, but for now I’ll just say “Squeee!” and be done with it. Oh: and for those of you who follow such things, you’ll note that Matt P has just announced his new job, too. Although he’s a sloppy blogger: he’s actually been working there for a little while already. Congratulations on the new job Dan! It must be a big change for you. I hope it all goes spiffingly. How I got started with Open Source and you can do too.